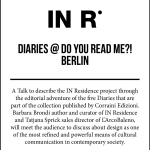 IN Residence is a project that contributes to contemporary debate about design, proposing conversation as a privileged means of analysis and further study. The project promotes design research through a set of closely correlated activities: an annual theme-oriented workshop, talks, exhibitions and a string of publications. IN Residence offers an alternative experience for learning, study and thinking capable of smoothly bringing together realms of knowledge generally kept separate and promotes cultural events aimed at creating a dialogue between internationally renowned young designers and students of all over the world. The six editions of the Workshops that are part of the IN Residenceprogram have seen the participation of 33 international designers and over 145 students selected from four schools in Turin that offer design courses. Designers and design studio’s such as Raw-Edges, Formafantasma, Lanzavecchia+Wai, Pepe Heykoop and Humans Since 1982 have participated in the Workshops since 2008. 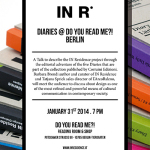 A collection of books titled: “IN R Diary” reports each workshop and shows the works by the guest designers. The sting of books is published by Corraini Edizioni. The IN Residence project is about design culture, taken as a process for organizing creative resources useful for generating innovative ideas and expressing solutions capable of benefiting people and conveying emotion. 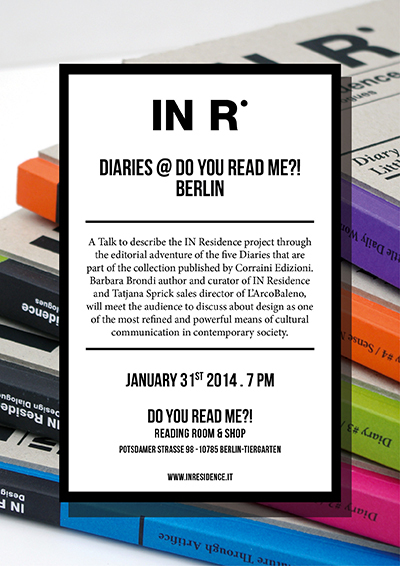 All the designers involved in the project are invited, every other year, to participate in a collective exhibition conceived to focus more closely on a specific theme given by the curators and provides the chance to think specifically about the way in which human beings are related to the objects around them. 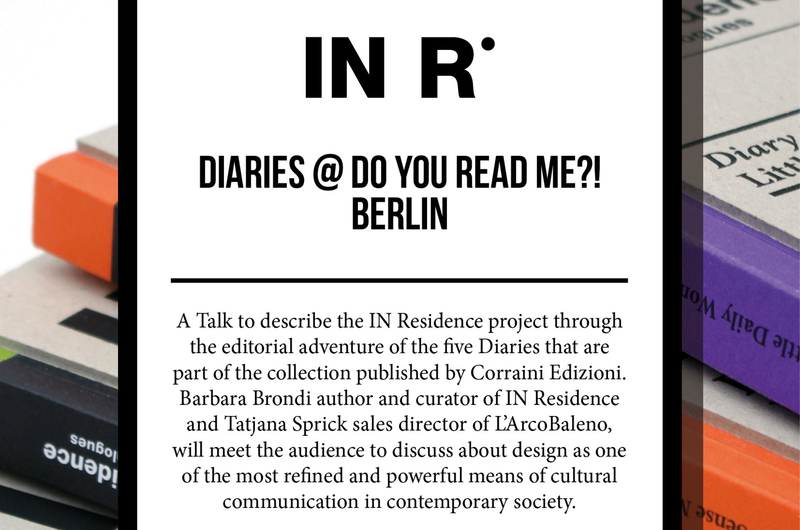 IN Residence is conceived and curated by Barbara Brondi and Marco Rainò, and is promoted by Associazione Culturale IN Residence Design.